Urns, Jewelry, Art Glass, ect. John Kurian “ Kunjumon,” 75, of Lakeland, FL passed away, Thursday, October 4, 2018 at his home surrounded by his family. A celebration of his life will be held on Thursday October 11, 2018 from 6:00 pm to 9:30pm and the Funeral and Burial Service on Friday, October 12, 2018 from 9:00 am to 12:00 pm at Indian Pentecostal Church of Lakeland, Florida. Kunjumon, was born to P.M. John and Aleyamma John of Kochiyil, Poovakkala Naduvilemuriyil House, Anjilithanam, Kaviyoor Thiruvalla, India on April 8, 1943. He is the fourth of their nine children. His siblings are Ammini, Marykutty, Pastor P.J.Mathew, John Thomas, P.J. Oommen, Pastor Jacob John, Pastor Roy Poovakkala, and Susamma. Kunjumon graduated from N.S.S. High School in Kaviyoor and later received his Bachelor of Arts in Literature from Bhopal University. On December 31, 1970, he married the love of his life, Rachel Joseph (Leelamma) in Anjilithanum. On January 13, 1973, in pursuit of a better life for him and his family, Kunjumon departed Kerala, India and arrived in Des Moines, Iowa, USA. There, he went to Open Bible College and received a Bachelor of Arts in Theology all while working a full-time job at AMF. In October of 1973, the Lord blessed them with their first beautiful daughter, Lovely. In 1978 their second daughter, Shirley was born and following closely on her heels, Julie was born in 1979. That same year, the family moved to Houston, TX where they resided for seven years. In Houston, Kunjumon worked as a pipeline inspector at NL Atlas Bradford, a prominent oil company, and in 1982, their last daughter Jolly was born. In 1986, Kunjumon and Leelamma then relocated to Lakeland, FL where they have called home for the past 32 years. Kunjumon was employed as a machine operator and was quickly promoted to a foreman at Publix Warehouse because of his excellent work ethic. He worked hard all of his life and only retired a few years prior to his passing. 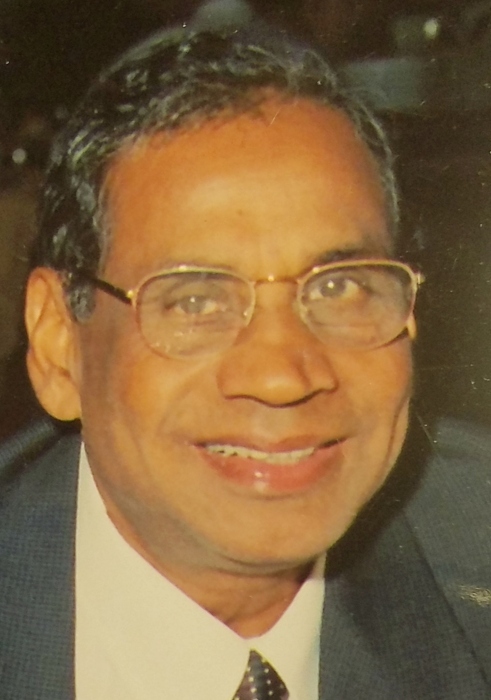 As a faithful member of the Indian Pentecostal Church in Lakeland, Kunjumon was regarded as a respected elder. While loyal in serving his local church community, his true passion was for the lost souls of India. Though discreet about his charity work, Kunjumon was a very generous man. It is said that he built 10+ churches in Northern India, funded numerous building projects, and fed the poor year after year at the annual Christian conventions. Kunjumon was known most for his calm and serene Christian faith. His character and temperament can best be shown from the time he was diagnosed with stage four cancer in January 2018 until his passing. Kunjumon had every right to be mad, cry, or even fall into depression after his terminal diagnosis, but instead, he chose to live life to the fullest! Neither hard times nor cancer would rob him of who he was - always exhibiting peace and a quiet strength until God called him home. Kunjumon was an avid gardener just like his father. He spent most of his weekends in his garden and studying the Word of God. He also enjoyed reading autobiographies, watching Christian television, spending time with his children and grandchildren. After retirement, Kunjumon grew a love for social media, which he used as a tool to spread the gospel of Jesus Christ to the lost. Kunjumon is survived by his wife of nearly 48 years, Rachel Kurian, daughter Lovely and her husband Hiren Patel with their three daughters, Victoria, Alexis, and Diana; daughter Shirley, and her husband Jason George with their two sons Malachi and Ezra; daughter Julie, and her two sons Jayden and Jonathan Thomas; daughter Jolly, with her husband Blesson Abraham and their three children, Bruce, Dean, and Katherine; and numerous brothers, sisters, in-laws, cousins, nieces, and nephews. He is preceded in death by his parents, P.M. John (1992) and Aleyamma John (2011), brother John Thomas and son-in-law, Samuel Thomas (2018). Please see service details tab for dates and times of services.